1) From Staff Pose – Dandasana bring the arms straight out to the sides and up over your head. 2) Inhale and draw the spine up long. 3) As you exhale, begin to come forward, hinging at the hips. 4) On each inhale, extend the spine, and on each exhale, come a bit farther into the forward bend. 5) Keep the neck at the natural extension of the spine. 6) Do not round the back. 7) Take hold of the ankles or shins, whichever you can reach. Put padding under the sit bones if necessary. 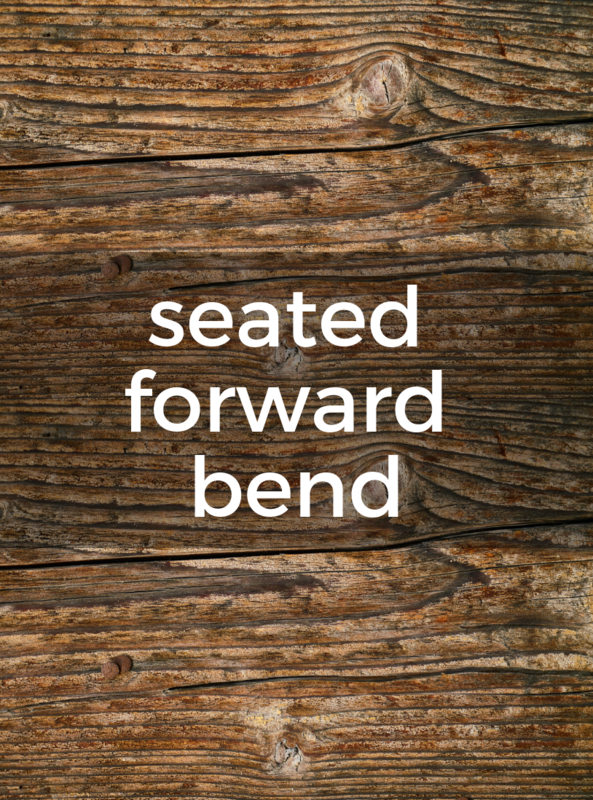 Imagine the belly coming to rest on your thighs, rather than the nose coming to the knees – this will help you keep the spine long instead of curving over. If you can easily grab the soles of your feet, try taking a block in front of the feet and holding that instead.